A friend with LFS recently asked me about CoQ10 supplements and their anti cancer effects. Supplements are yet to be regulated, certified or otherwise cross checked in the United States. The FDA considers vitamins to be nutritional supplements and does not recommend doses or support any health claims made by manufacturers. There isn’t a lot of scientific evidence to back up many health claims one way or another with vitamins, so it is important to do your own research and understand what each does normally for our body. Always talk to your provider about any supplements you are thinking about taking, many do have interactions with drugs you might be already on. Just because something is natural, does not mean it is good for you and what works for one person may not work for another. I’ll give you some of what I know about CoQ10 and some great resources I use to learn about supplements and herbs. Coenzyme Q10 is an antioxidant. An enzyme is a molecule that causes a complex reaction inside the body- CoQ10 helps your body convert food into energy. As an antioxidant, it also helps prevent damage that certain particles called free radicals can cause. (Random thought-Did you know that p53 actually performs some antioxidant functions?) CoQ10 is also called ubiquinone and is produced in the body naturally. As we get older, the amount of CoQ10 decreases due to many possible factors. 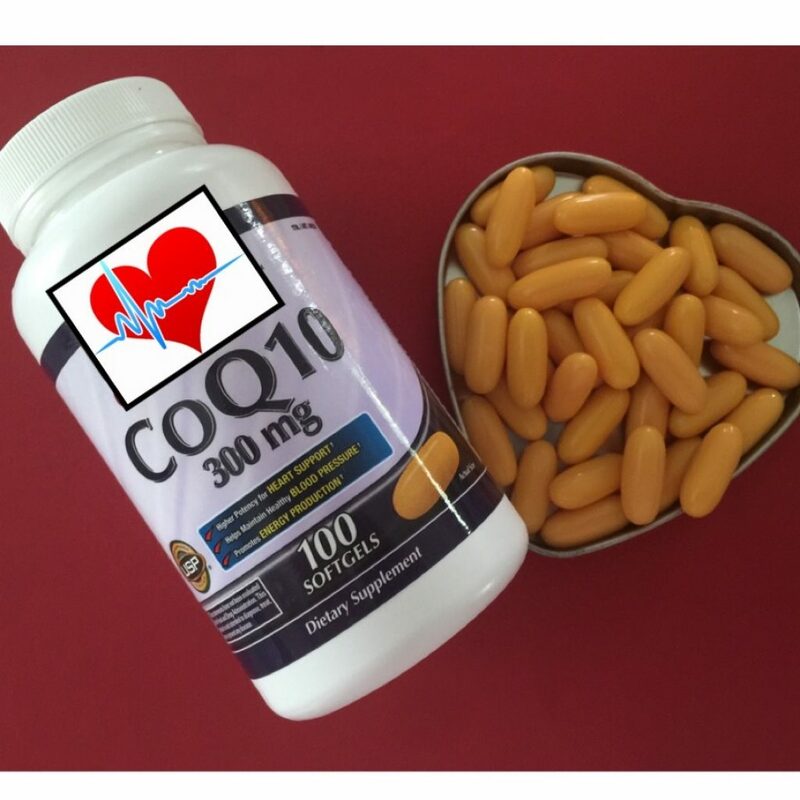 CoQ10 supplements have been used to help many different conditions including heart failure, high cholesterol, high blood pressure, diabetes, cancer and chemotherapy related heart damage. There are varying degrees of evidence and success for each of these conditions. Where can I find CoQ10? As a supplement, you can find CoQ10 over the counter. An easier way to add a little CoQ10 into your diet is through foods high in CoQ10 such as beef, herring, chicken and soybean oil. 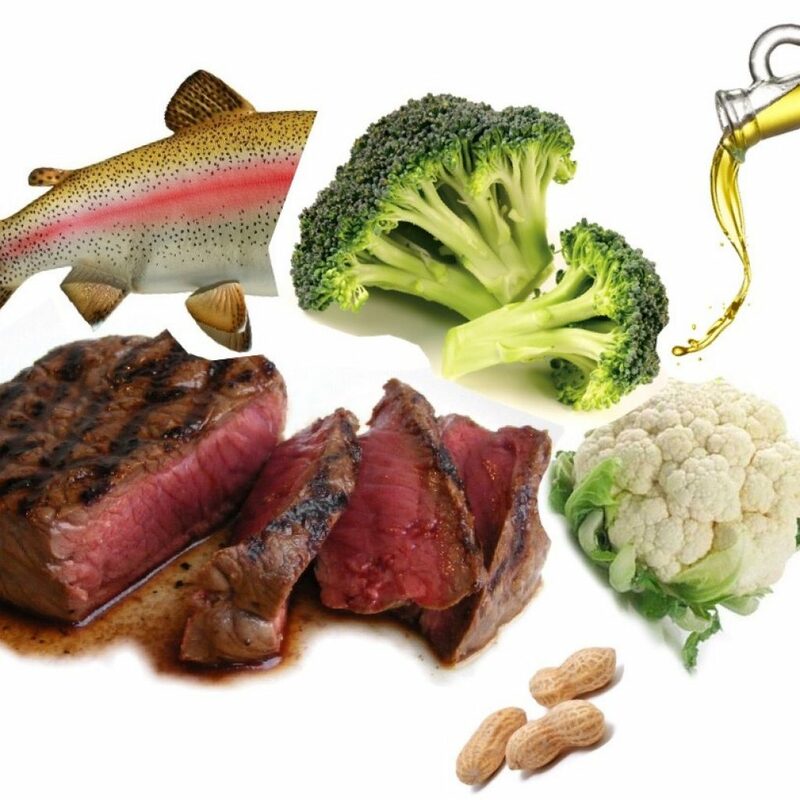 Other foods with pretty decent amounts of CoQ10 are canola oil, peanuts, sesame seeds, pistachios, broccoli, and cauliflower. By following a well rounded diet with and emphasis on cruciferous vegetables, lean meats and nuts, you are probably getting a fair amount there. Does CoQ10 prevent or Treat Cancer? I can’t tell you that. There was one notable study using high dose CoQ10 to treat breast cancer in 1993. Of 32 patients, 1 had a complete response and 6 had a partial response. The thing is the patients were treated with standard surgery, chemotherapy and also supplemented with other antioxidants and fatty acids. So we cannot say definitively the success of those cases was due to CoQ10 or the combination. The study noted that none of the patients died, there were no further metastases on this treatment and the tolerability of chemotherapy seemed to be improved. Further studies have shown similar results. The take away here is that the supplement CoQ10 did not seem to cause any damage or hurt treatment and it supported health during breast cancer treatment. Another study refuted whether or not CoQ10 actually helped tolerability of chemotherapy. Like anything with cancer and chemo, treatment can be very subjective and individualized. Could it work for you? Perhaps. If you think it might, it’s worth a conversation with your doctor. What about CoQ10 and p53? If there isn’t a lot of data on supplements and cancers like breast cancer, the odds of us finding any studies on p53 and CoQ10 are pretty slim. Heck, look at green tea; people have been claiming health benefits of green tea for centuries and some studies support it and some don’t. There have been studies on cruciferous veggies and p53 and some good data- but there are just too many supplements, so many proteins and not enough money for research. That being said, with LFS you make the best decisions you can with the information you have. The information is constantly changing and we just try to keep up with it. In America we tend to go with the idea that if a little bit is good- a lot is better. This theory doesn’t always apply to supplements. The body is pretty amazing and has checks and balances to keep things running smoothly. I mean just look at us- we have faulty tumor suppressor p53, if the body could not find other ways to fight cancer we would not be here at all, we would be born as a clump of cancerous cells. For many years researchers thought Tp53 was an oncogene, meaning a gene that causes cancer. Later it was discovered it is a tumor suppressor but it also has a nasty little quality called GOF- gain of function. Under certain conditions it acts like an oncogene, hence the aggressive cancers we see in LFS. No one supplement will “fix” it. We have to try and stick with the medical principle- First, Do No Harm. Recently there have been several articles about antioxidants doing more harm than good where cancer is concerned. This falls into the theory, if antioxidants help fight cancer- I will plug as many as I can into my body and be cured. Not necessarily- sometimes the body reads all those extra antioxidants as a sign of damage, after all their job is to show up and fix things. It’s like rubbernecking on the highway- you think oh wow there must be a bad accident- maybe I’ll go around. Or you wait it out to see what happened and it’s just a car pulled over on the shoulder. So if you call in the ambulance and fire department before you know that, they will show up and not be needed. Antioxidants can be the car on the side of the road, the body sees that and extra p53(ambulance) and starts planning how to help and calls in other reinforcements like the tow truck(more p53) or mechanic(yep, p53- jack of all trades- this mighty molecule can do a lot). The mechanic is throwing together parts to help fix whatever is going on- just like p53 decides to fix the broken cell(car) or take it away. Well wait a minute though, none of these services are truly needed- it was just misinterpreted because there was a traffic jam. Don’t create a traffic jam. Moderation. Talk to your doc about supplements and if it’s right for you. Keep your p53 as healthy as possible so it can fix the damage when it is needed. Supplements can help do just this and be supportive. I see a Naturopathic Doctor who recommends certain supplements for me. I ask him about p53 specifically and he tries to find what he can, there usually isn’t much information. If you are curious about alternative or integrative treatments, check out a past blog post, Choosing the Best Alternatives with LFS. I then go home and do my own research. I find out what the supplement is for, what side effects it might have and if it plays well with p53(if possible). I’ve listed the places I get information from below. I usually consult Memorial Sloan Kettering Cancer Center’s site first. You have to agree to their disclaimer that it is not health advice or treatment before you can search for the various herbs and supplements. I find it to be pretty comprehensive. You can find it HERE. CoQ10 is one supplement that I take occasionally. Especially the week before I have chemo. Many therapies have toxic effects on the heart, my hope is that CoQ10 might offer some protection. It is one piece of my very complicated LFS puzzle. I asked my oncologist about CoQ10 before I took it so he could double check that it wouldn’t interfere with the effectiveness of my treatment. This is important. I’m not a doctor, please don’t take any of this as advice. It is information I’ve learned to try and keep myself living LFS. I’m happy to answer questions about my experiences. Feel free to comment below or send me an email at jenmallory@livingLFS.org. There are also many others who are living LFS at a great support group on Facebook, with a wealth of knowledge and experiences on many different cancers, approaches, treatments and living. Apparent partial remission of breast cancer in ‘high risk’ patients supplemented with nutritional antioxidants, essential fatty acids and coenzyme Q10. Lockwood K, Moesgaard S, Hanioka T, Folkers K.
Lockwood K, Moesgaard S, Yamamoto T, Folkers K. Biochem Biophys Res Commun. 1995 Jul 6;212(1):172-7. Coenzyme Q10 protects Pc12 cells from cisplatin-induced DNA damage and neurotoxicity. da Silva Machado C, Mendonça LM, Venancio VP, Bianchi ML, Antunes LM. Neurotoxicology. 2013 May;36:10-6. doi: 10.1016/j.neuro.2013.02.004. Epub 2013 Feb 19. At some point during the cancer journey, most people wonder about alternative treatments. Whether it’s because conventional treatments fail or side effects are drastically affecting quality of life, many times cancer patients and family members want to know more about alternative medicine.What are “alternative” treatments? What’s the difference between Alternative, Complementary and Integrated Medicine? If you’ve ever had cancer or a loved one with cancer- you know that folks with suggestions of alternative treatments seem to crawl out of the woodwork. Have you tried coffee enemas? I had a friend’s cousin’s step aunt who cured her stage four cancer doing that alone! I take megadoses of vitamin C and D and have never had cancer- have you thought about that? When you have LFS, not only do you have to consider cancer and consider it a lot, you have to consider whether or not conventional treatments will work for you and your mutant p53. How do we do this? We refer to scientific evidence. Just as certain chemotherapy or radiation treatments do not work well with mutant cancers, certain alternative treatments may not either. Alternative medicine is the practice of healing that isn’t necessarily based on evidence gathered through scientific research. This includes many practices such as acupuncture, chiropractics, homeopathy and naturopathy. 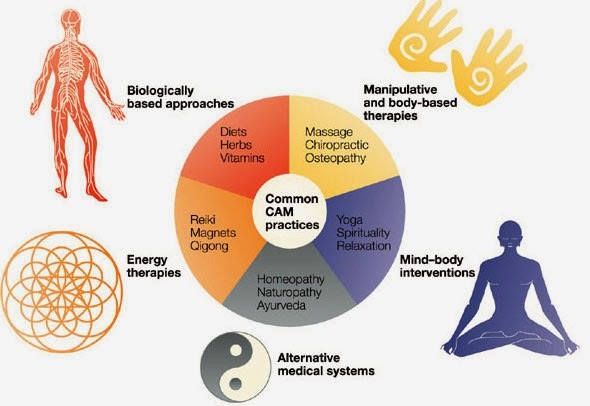 Complementary Alternative Medicine(CAM) uses alternative methods along side conventional treatment, thought to help the benefits of conventional treatment. Integrated Medicine is when Conventional and Alternative medicine are used together. So how does Alternative Medicine play into Living with LFS? Like chemotherapy and many conventional cancer treatments, each person’s body will respond different to various therapies, drugs, foods, or supplements. Many major cancer centers, such as Memorial Sloan Kettering Cancer Center, The Mayo Clinic, MDAnderson, Huntsman Clinic and Dana Farber have Complementary or Integrative programs. The effectiveness of treatment often has a foundation in a person’s belief system. Obviously more and more people are believing in and finding comfort in alternative treatments if major cancer centers make the programs more accessible. Have you ever run across someone who swears that chemotherapy saved them? Or that believe specialized surgeon expertly removed their cancerous tissue? Or someone who swears that chemotherapy was the worst experience ever and nearly killed them? Have you ever talked to someone that had cancerous tissue removed by a trusted surgeon and thought they “got it all” but they were saddled with a recurrence years later? Alternative therapies are no different. For every person that swears acupuncture alleviated their pain, there will be someone who felt nothing but little pokes. Co-operate with the healing powers of nature. Teach the principles of healthy living and preventive medicine. Just because conventional treatments are based in scientific evidence does not mean they will work for everyone. Just because something is “natural” does not mean it is good for you. Living with LFS, we know a lot about not fitting into the standards of care. It is refreshing to see many cancer centers offering the option of complementary medicine and taking some of the guesswork out of the process. So much of a person’s comfort in treatment depends on how you relate to the provider, how they relate to you and what your needs are. Sometimes the only way to know whether or not something will work for you is to try it. Are you Living LFS and have alternative medicine experiences? Please share in the comment section below!